There has still been no money allocated for the Pacific Hwy upgrade through Wyong Town Centre, and the Wyong Regional Chamber of Commerce wants action. The Chamber has set up a change.org petition and is seeking to gather 10,000 signatures to support the call for the roadworks to be funded. It is urging the community not to accept the NSW Government’s inaction and to sign the petition to push for funding to be announced in June. Road and Maritime Services have completed the first phase of the project, along with a completed concept design and environmental assessment. Mr Ron Stevens, President of Wyong Regional Chamber of Commerce, said he was calling on the NSW Premier, Ms Gladys Berejiklian, to allocate funding in the State Government’s June 10 budget. “The funding for this project is long overdue and we need the dates for construction to be announced,” Mr Stevens said. “The Wyong community is sick and tired of being overlooked,” he said. The 2.4km upgrade will benefit local business by reducing congestion and improving travel times, as every day, 30,000 vehicles use this part of the highway. The planned works will provide two lanes in each direction on the highway, between Johnson Rd and Cutler Dve, thus improving safety and accessibility for all road users. “The Art House is open; new cafes are open; Aldi is open; shop tenancies have increased. The change.org petition is from the concerned residents and businesses from the Central Coast and the electorate of Wyong. 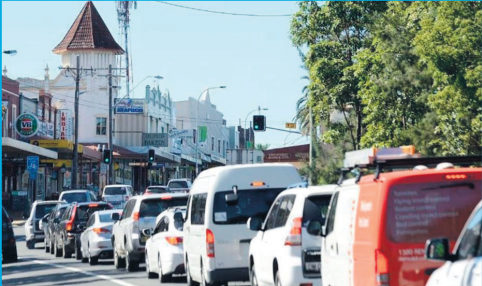 It brings to the attention of the House the request for immediate action for the Government of NSW to allocate funds for the design and construction phase of the Pacifi c Hwy upgrade through Wyong Town Centre. Member for Wyong, and Shadow Minister for the Central Coast, Mr David Harris, joined the Chamber in calling for funding for the Pacific Hwy upgrade through the Wyong Town Centre to be included in this year’s State budget. Mr Harris said that the project had dragged on for 15 years and cost $15 million, leaving the community fed up with waiting.